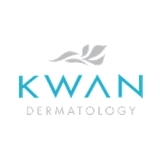 Kwan Dermatology (San Francisco) - Book Appointment Online! While the Kwan Dermatology team prides ourselves on being amongst the first to adopt the latest and most advanced technology, our greatest reward is in providing a nurturing environment that encourages people to feel good about their unique qualities. Although people come to us to deliver effective and natural results, administered by experienced and highly-trained medical professionals, our core purpose is leave our patients feeling cared for and bolstered. Our founder, William Kwan MD, is a renowned dermatologist and the world's leading expert in the care and treatment of ethnic skin. While we treat ALL skin types and conditions, the entire Kwan Dermatology team is especially knowledgeable about the unique needs of darker skin tones.